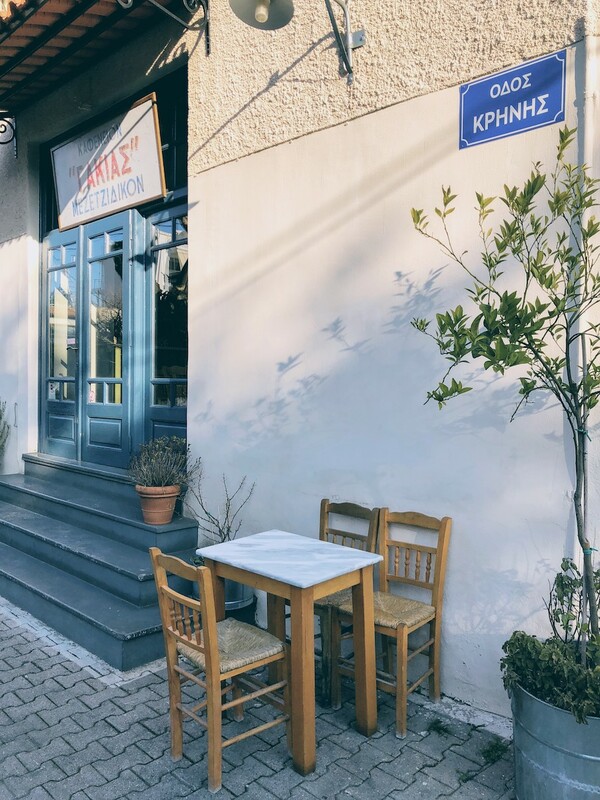 There is no better meal than one with a group of friends, drinking some ouzo/raki, while enjoying delicious greek meze in an environment that could easily bring memories from the 50s in Athens. Gakias tavern opened its doors in September 2016, in Nea Erithraia, and even though it took me a year to visit, it was definitely an experience I enjoyed a lot. The tavern is casual, beautifully decorated with pans, bottles of ouzo, and other elements that come together and create an illusion of being in another era. There are three different dining areas, one of which has its tables on gravel. The menu is lengthy and offers both fish and meat options. 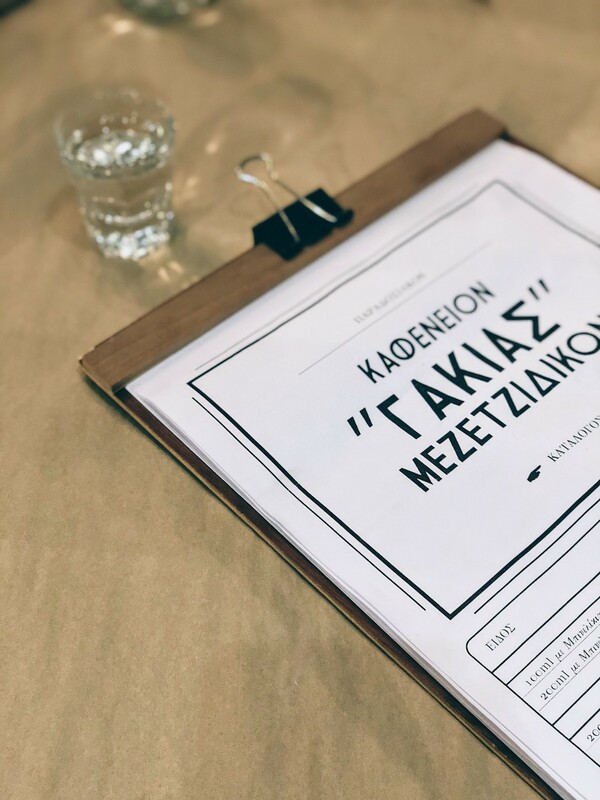 But first things first, so as soon as you get on your table order some drinks, either ouzo/tsipouro or raki. Then have a look on the menu. All the dishes are in the form of meze so you can easily order a few to taste. I would say for a party of 4 consider ordering around 6-8 dishes, depending on how hungry you are. The Salata tou Kafene salad is a good option to enjoy some fresh cut tomato and feta cheese. Try out the melitzanosalata (eggplant salad) and tyrokafteri (spicy cheese spread) to spread on your bread. One of my favorite was the kolokithokeftedes (zucchini balls) served with fresh greek yogurt. Meat lovers should consider ordering the tender pork tigania cooked with mustard, the kotobiftekakia (chicken patties with herbs) and mosxaraki sto pilino (beef baked in the oven with cheese and peppers). 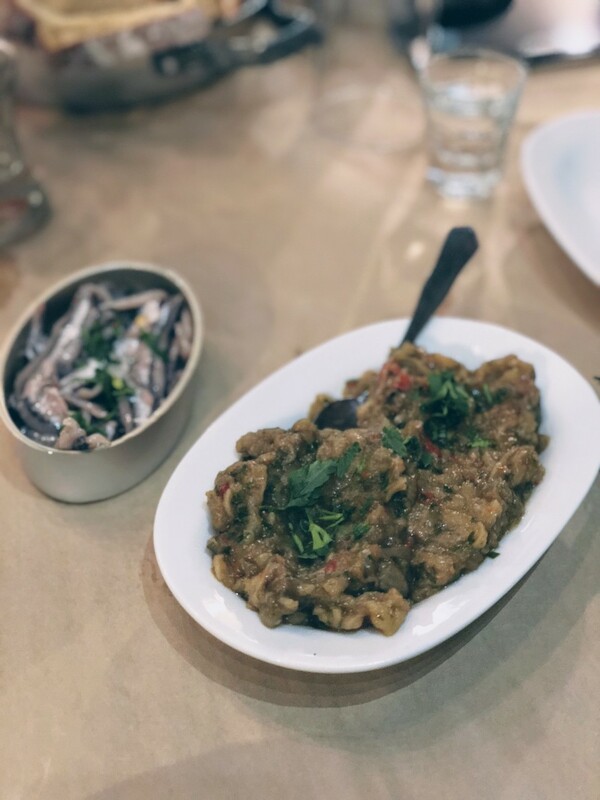 On the other hand, the marinated anchovies and the steamed mussels are equally delicious. However, no matter whether you choose fish or meat, french fries are always the perfect side and you should definitely order a portion. 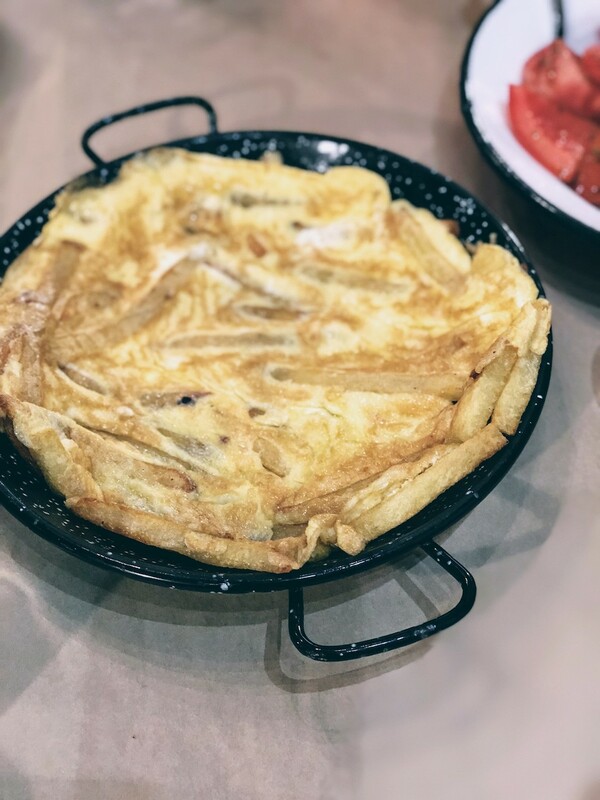 You can also try out the mama's omelette, or simply plain omelette with french fries.